One of the areas of Mathematics that I spent a lot of time focusing on when I taught and with my own children was number bonds. Especially those simple number bonds like to 5, 10 and 20. The recognition of these bonds of numbers that add up to make those 3 basic numbers are so useful and start to build on Number Sense (the ability to be fluid and flexible with numbers). 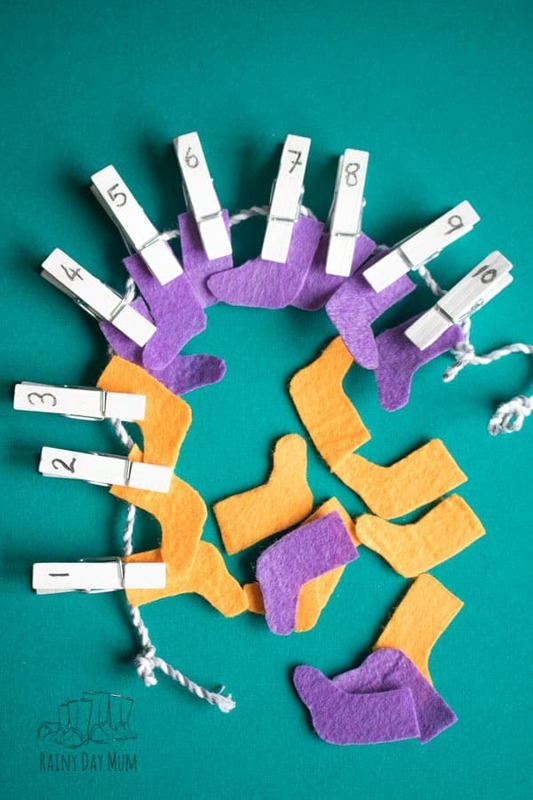 In this activity based on the book Fox in Socks by Dr. Seuss for our Weekly Virtual Book Club for Kids, we focus on number bonds to 10 as well as incorporating some fine motor skills as well. 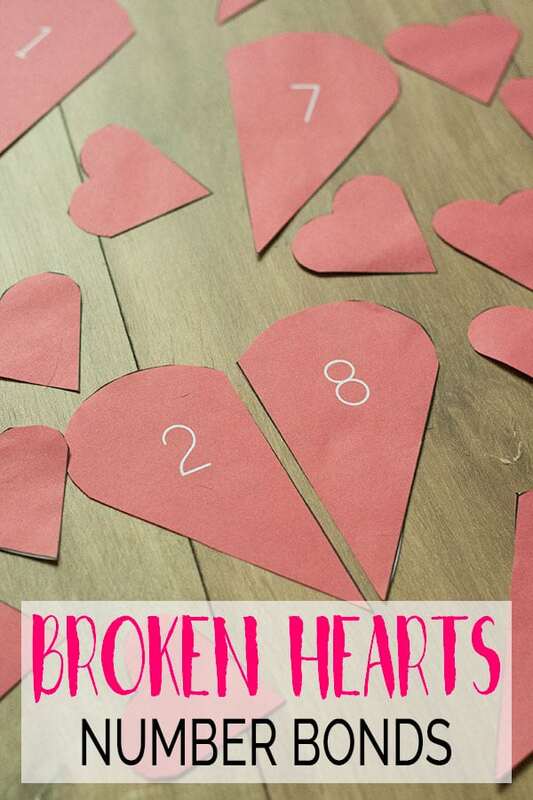 At the end of the post, you will find more Number Bond Activities as well as some activities connected with this fun Dr. Seuss book for toddlers and preschoolers. We have included affiliate links to products and resources we recommend. If you purchase via the link we may earn a small commission. Fox in Socks by Dr. Seuss is a fun beginner book ideal for toddlers and preschoolers and you to read together. Watch out though because it is full of wonderful tongue twisters and rhyming words. The version that we have linked to includes a CD which is great for kids to listen to in the car or on the move. More Dr. Seuss Math Activities with our Cat in the Hat Number Line. 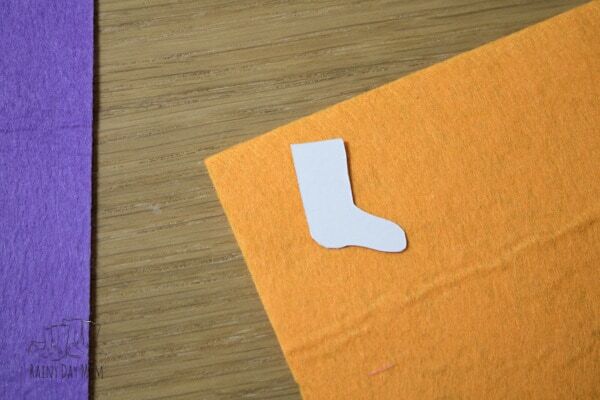 The fox in the book wear’s socks so using this as inspiration and working on a little fine motor skills we have a simple to make and use maths activity for toddlers and preschoolers. 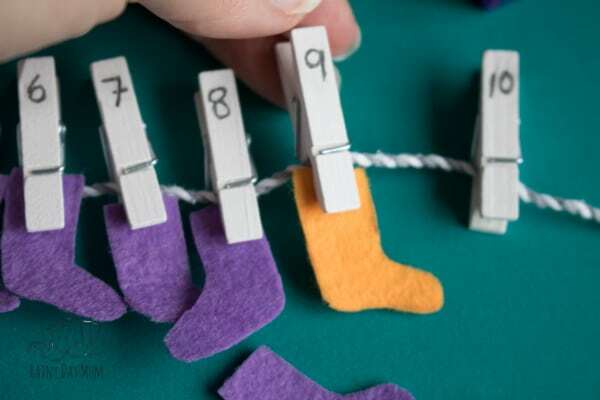 We have made a small version using mini pegs to hang up our socks – however why not use large clothes pegs and a bigger line with bigger socks and make it on a larger scale as well (this would be ideal in a preschool classroom or playroom). 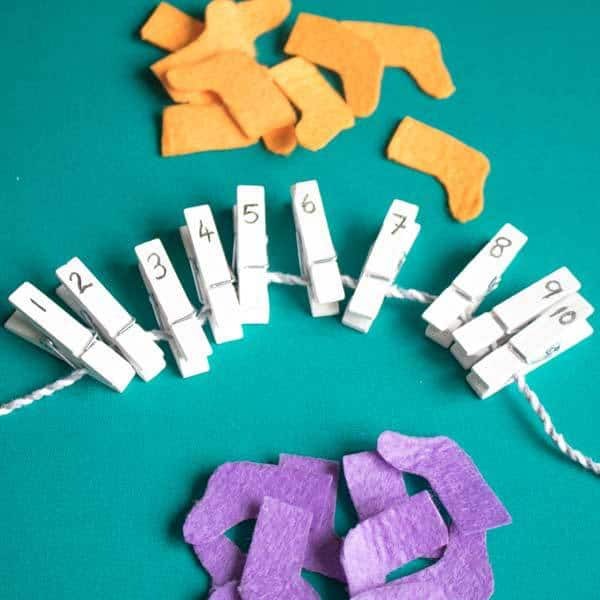 Our small set is used for a math centre activity and we did similar to work on the pincer grip for finger gym. 10 sided dice ours is from a set I brought of multiple sided dice for Role Playing Games and they are perfect for math activities with kids. 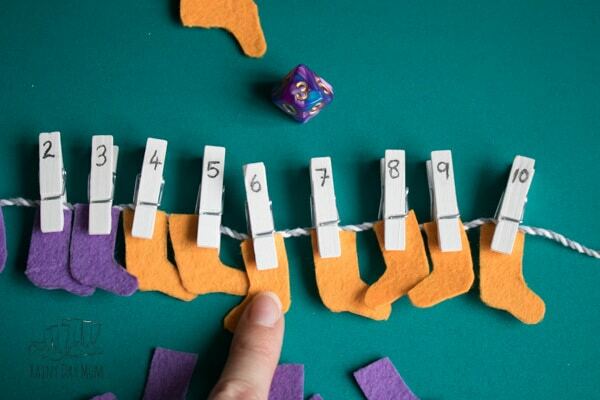 Looking for more Math Activities for Toddlers and Preschoolers then check out our selection of Hands-on Counting Activities. 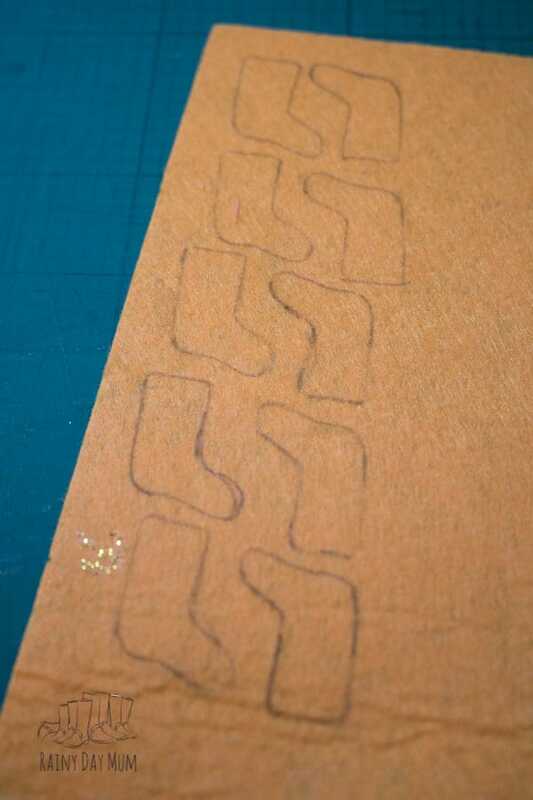 Using a piece of scrap card draw a sock shape and cut this out. On the craft felt draw around the sock 10 times on each colour. Cut out the 10 socks from each colour so you end up with 20 socks. 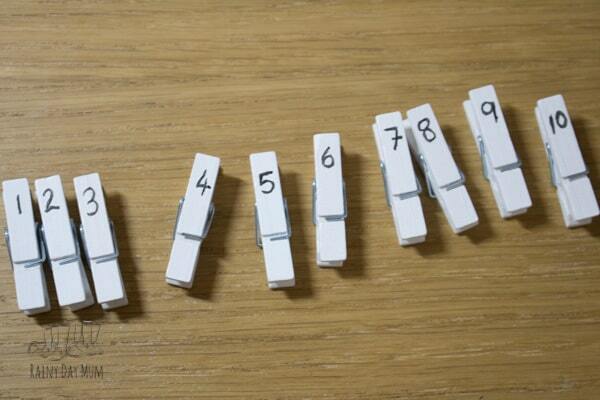 On your mini pegs write the numbers 1 to 10. Place the pegs in order on your twine. 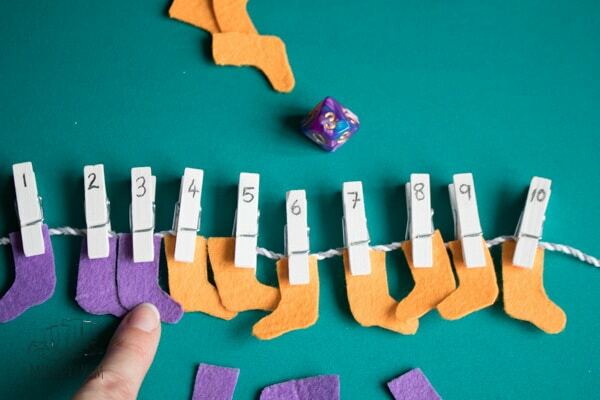 Roll the dice to tell you how many of the first colour of socks you need to place down. Add the socks to the washing line. Ask your child how many more socks you need to fill the washing line. 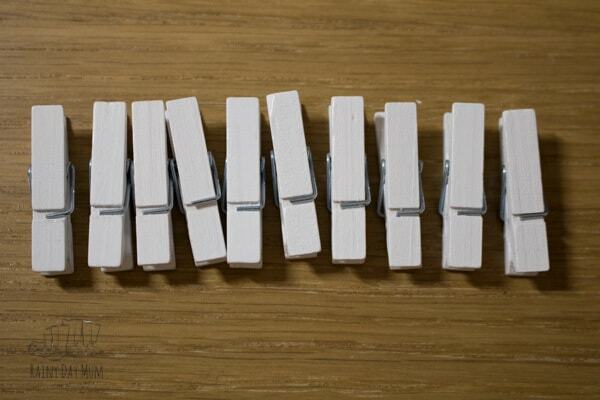 Now count the empty pegs. 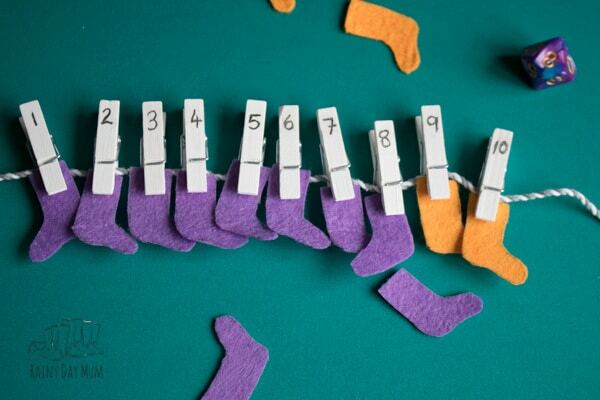 Add the second colour of socks to the empty pegs. You may want to write the number bonds down as you make them to reinforce the learning. 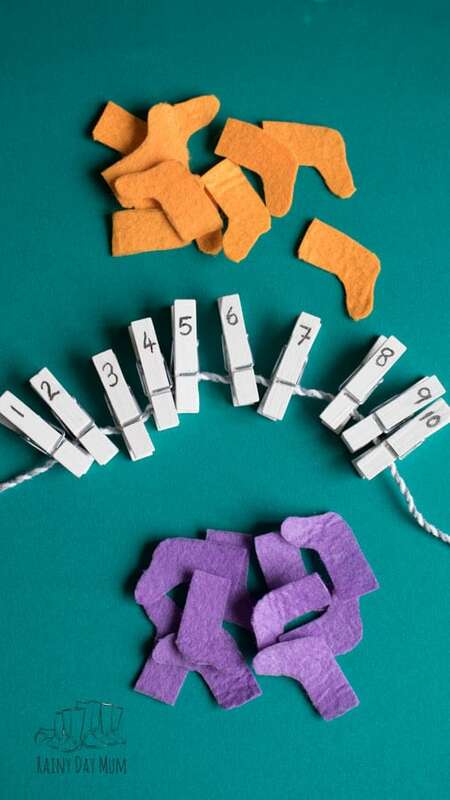 If you are working on Number Bonds here are some resources that we have found useful to help the children grasp this fundimental of number sense. Another Number Bond Activity that combines fine motor skills and the number bond knowledge but can be easily adapted to working on different number bonds is this Number Bond Snap and Slide. I love how it is reusable and reminds me a little our a DIY Math Fact Triangles. This Magnetic Dry Erase 10 Frame is useful for working on those number bonds. It’s a little less interactive but you could use different counters to fit it in with specific themes e.g. Attribute Apple Counters for Apple week or these autumn-themed beads just add a little magnetic tape to them to make them stick. 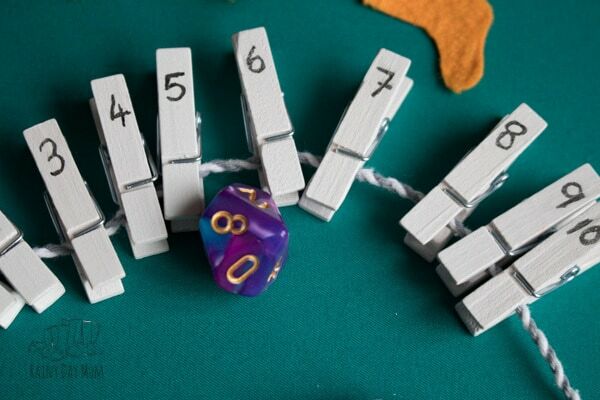 Games are always a great way to learn and this Ten Frame Tower game is perfect for working on Number bonds to 10 and works on those to other single digit numbers as you try and fill up your full ten frames with the roll of the dice. There are so many fantastic Dr. Seuss books but how do you find books that perfect for toddlers and preschoolers. Our 3 favourites are The Foot Book, Wocket in my Pocket and Mr. Brown Can Moo as well as Fox in Socks. These 4 books are full of rhyming words and fun sounds as well as being fairly short and therefore ideal to read together. 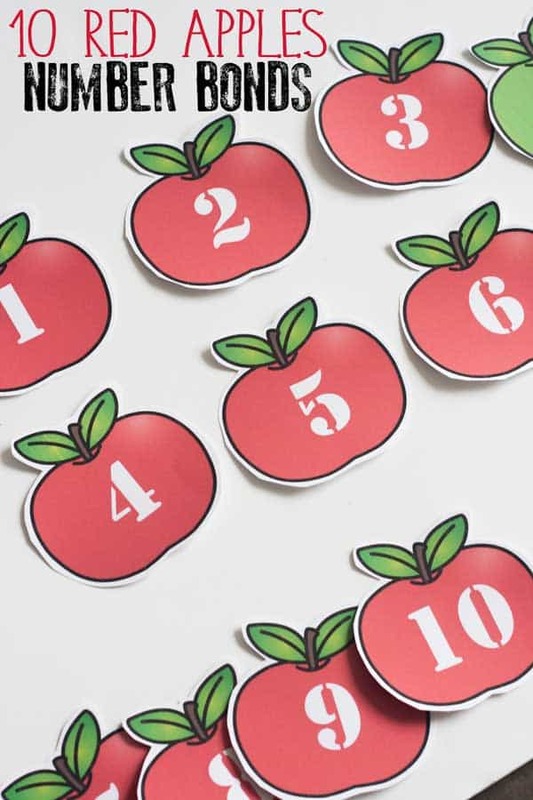 Sing along with these Counting Songs to help your toddlers and preschoolers to learn their numbers as well as work on a little skip counting and counting backwards. For this week’s Virtual Book Club for Kids theme we are focusing on Dr. Seuss and have chosen the book Fox in Socks (scroll back up to discover why this is a fun book for toddlers and preschoolers and you to read together). You can join in with the Virtual Book Club for Kids in 2 easy ways – join our newsletter to get weekly updates of the activities and featured books and get your upcoming book lists at the same time and come over to Facebook and join our Weekly Virtual Book Club for Kids Facebook Group where we are sharing even more activities, crafts and recipes based on the weekly themes. 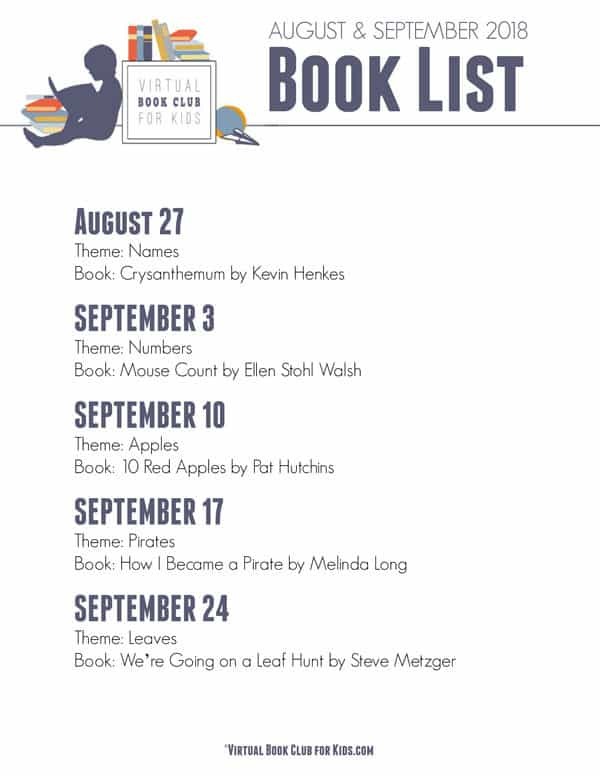 This week’s co-hosts have created the following activities that are perfect for combining with the book Fox in Socks.